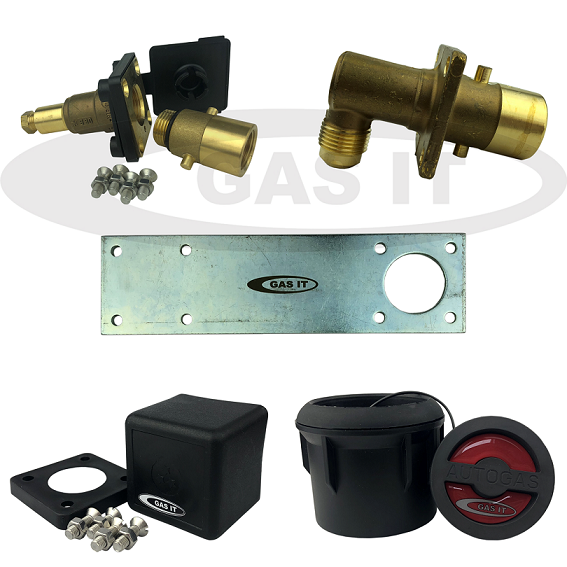 Fill Points, Brackets and Lids - GAS IT Leisure Gas Bottles, Gas Cylincers and Gas Tanks - Catering, Motorhome, Campervan, Caravan, Farrier and Road Repair Refillable Gas Solutions. All our GAS IT fillpoints and components comply with or exceed all current UK and EU regulations and NCC C.o.P 306 needs. Replacement fill cap for removable fill point - this will replace any lost or damaged caps. We are waiting for this item to at our warehouse. We currently estimate this item to be back in stock during the week of 12 Mar 2018. Delivery of this item would be after this date. This is a dust cap for bayonet style fill points, sealing the fill point from dust, dirt and water. We are waiting for this item to at our warehouse. We currently estimate this item to be back in stock during the week of 23 Apr 2019. Delivery of this item would be after this date.